Saint Ursula Academy would love to show you the life-long benefits of being a Bulldog. 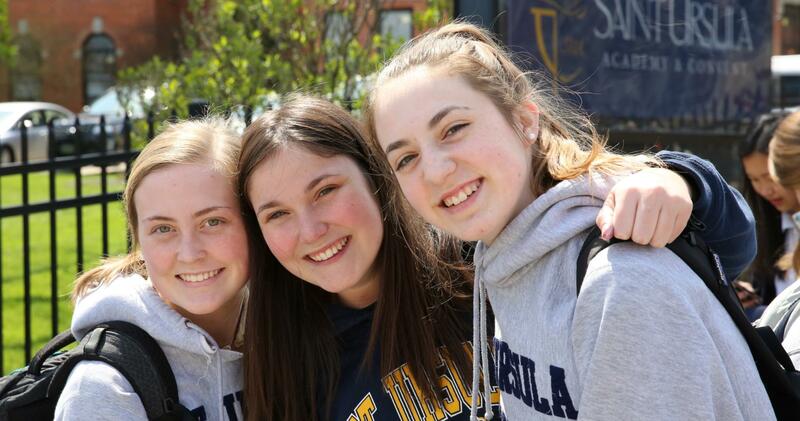 Whether you are an outstanding scholar, performer, athlete, or volunteer, SUA has a place for you to excel and explore. When a girl chooses Saint Ursula Academy, her experience goes far beyond academics. She learns how to find her inner courage and confidence. She knows how to nurture herself and others. She becomes a critical thinker and values-driven leader. Through meaningful relationships with her peers and teachers, she is empowered to make the most of her unique skills and talents to build a better world.